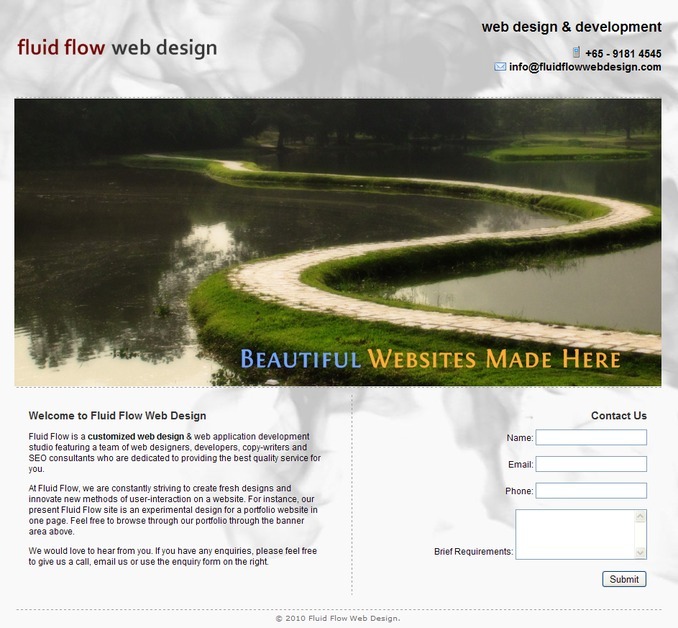 Fluid Flow is a customized web design & web application development studio. We aim to make elegant, unambiguous websites which are user-friendly. We believe in creating fresh designs and innovating new methods of user-interaction. Our sites are also optimized for search engines which will help your company to achieve your Internet marketing goals along with a strong online identity. Check out our new web site for our portfolio.